Each May, up to a million migrating shorebirds alight on the shore of Delaware Bay to fatten up on horseshoe crab eggs. The estuary, on the border of New Jersey and Delaware, is the last and most critical stop for these birds, including the threatened rufa red knot. Delaware Bay is also home to a resurgent oyster industry, which is getting back on its feet after decades of turmoil. But a new study suggests that oyster farming equipment off the coast could prove detrimental to the already declining knots. New Jersey’s once-thriving oyster industry collapsed in the 1950s, when a series of infectious diseases caused oyster populations along the east coast to crash. New Jersey’s Delaware Bay communities never completely recovered—today they are some of the poorest in the state. Now, the development of disease-resistant oysters and a new aquaculture management plan have brought a small but growing number of oyster farmers back to the area. Some have set up operations in the intertidal zone—the area of the shore that’s only covered at high tide. 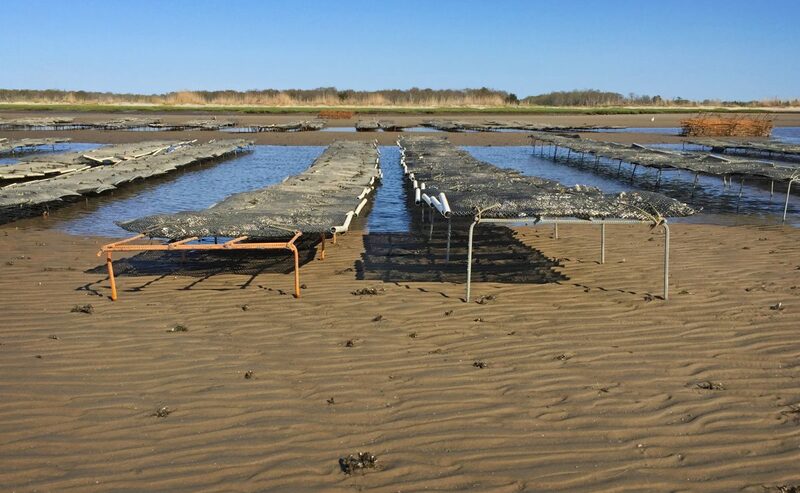 There are many systems for cultivating oysters, but the method favored by Delaware Bay farmers is called rack and bag. They grow oysters in mesh sacks suspended above the shallow bottom by wood or metal frames. These structures are typically exposed only at low tide. Relatively little is known about how shorebirds use the intertidal zone, but Joanna Burger, a bird biologist at Rutgers University, says the introduction of oyster racks may not be helping. In her recent study, Burger compared how four species of migratory shorebirds foraged in the intertidal when oyster racks were present and when they were absent. She found that red knots, turnstones, and semipalmated sandpipers avoided beaches with the oyster racks, and sanderlings foraged equally across sections with and without racks. Some conservationists say the findings are concerning because they indicate the racks may be limiting the birds’ access to food. The roughly two-week period in which migrating shorebirds stay in Delaware Bay is a particularly vulnerable time, especially for the rufa red knots, says Larry Niles, a wildlife biologist at Niles & Smith Conservation Services in Bordentown, New Jersey. The rufa subspecies must double its weight in order to survive the final stretch of its northward migration. Last May, Niles says, only 30 percent of red knots left Delaware Bay at a suitable weight, possibly due in part to a big decline in horseshoe crabs over the past 20 years. While conservation efforts have helped reverse that trend, there still aren’t enough horseshoe crab eggs to eat. “Anything that diminishes [the knot’s] ability to forage and gain weight could have an impact on productivity and survival,” he adds. Others are skeptical that commercial oyster racks are affecting bird foraging. Federal and state regulations require oyster aquaculture operations to be at least 300 feet (about 100 meters) away from the high tideline. That’s much farther from shore than where Burger installed her experimental racks. The distinction matters, says David Bushek, director of the Haskin Shellfish Research Laboratory at Rutgers University, because birds are less likely to forage further out where the commercial racks are. Future studies should focus on “more realistic scenarios,” he says. Burger says that the intertidal zone at the stretch of beach where she set up her experimental racks was narrow, and she admits that under normal conditions aquaculture wouldn’t occur at that particular location. Wendy Walsh, an endangered species biologist at the US Fish and Wildlife Service in New Jersey, says the agency considers all new science when evaluating whether to update existing conservation measures. She adds that regulations already restrict vehicle and gear use in sensitive red knot habitat during peak migration. For Burger, the takeaway is that the expansion of intertidal oyster aquaculture should be halted in parts of the bay where red knots are most likely to forage until the effects on the birds can be determined. Yet she acknowledges that birds and humans both need the bay. “We need solutions that allow each to thrive,” she says. 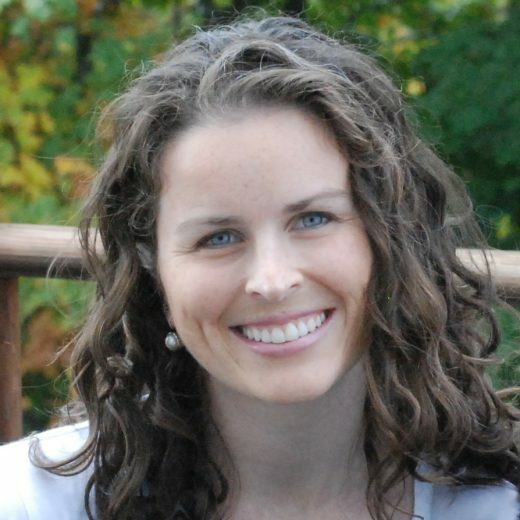 Lindsey Konkel is an independent science journalist based in New Jersey. She covers health, environment, and the intersection of the two. Cite this Article: Lindsey Konkel “New Jersey’s Migrating Shorebirds Shun Sunken Shellfish Supports,” Hakai Magazine, May 7, 2018, accessed April 25th, 2019, https://www.hakaimagazine.com/news/new-jerseys-migrating-shorebirds-shun-sunken-shellfish-supports/.